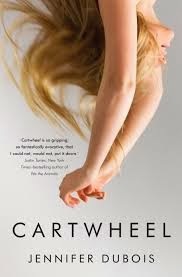 Jennifer duBois' Cartwheel was inspired by American student Amanda Knox's predicament in Italy where she was charged and found guilty of the murder of her flatmate but was subsequently acquitted (although that judgement is currently under review). DuBois is at pains to point out however that her novel is entirely fictional, and she's set it in Buenos Aires in Argentina. It's received pretty good reviews but in my opinion it's a major failure and for a very obvious reason. It's massively over-written. Every emotion, thought, action and reaction of every character, no matter how minor, is analyzed to within an inch of its life. There's a yawning disconnect between the overwrought hyper dramatic philosophising rhetoric and the simple story. An uncomplicated crime drama is far too small a canvass for this sort of stuff and inevitably gets buried. Endless psychologising does not good fiction make. And the ending proves my point. It's a complete, undramatic fizzle, as if the author forgot she actually embarked on a crime novel. Like a classical musician playing a pop song, we get a clash of registers, and it's all wrong. 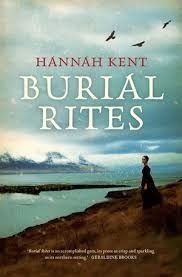 Hannah Kent's debut novel Burial Rites is based on the true story of the last execution in Iceland in 1829. Agnes Magnusdottir was condemned to death for her part in the brutal murder of two men. I enjoyed this book immensely. It's beautifully written in spare uncomplicated prose and moves along at a decent consistent pace. And the resolution is just perfect. Sometimes it gets a bit exposition heavy as all the characters are introduced and the story's elements and context put together. We're looking back at what happened and various players are filling things in for us. There are a few too many irritating minor country yokels for my sophisticated tastes, but eventually we get a full spread of ordinary reactions to a 'murderer in our midst', from ignorant prejudice to the more intelligent and sympathetic. Kent keeps a steady hand all through this, and the tension builds. We're never sure of the truth till right at the end. I can't give the ending away other than to say it's a massive tick for the Danish/Icelandic justice system. Superbly done. 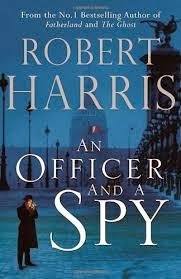 British writer Robert Harris' An Officer and a Spy is, quite simply, brilliant. BRILLIANT. His last novel, The Fear Index, was dreadful, but this is outstanding. He's returned to his home turf of politics and history. It's a compelling novelisation of the French military and political scandal of the late 1800's known as the 'Dreyfus Affair', perhaps the most famous miscarriage of justice in history. All propelled by a vicious anti-semitism. What makes this book so engrossing is the story's relevance to our own times: an intelligence system gone rogue, justice corrupted in the name of national security, the persecution of a minority aided and abetted by a conservative establishment press, the age-old instinct by the powerful to cover up their crimes, and the relentless hounding of a whistle blower. 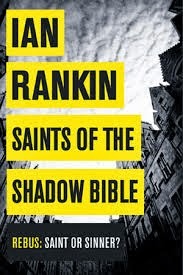 Every new Rankin is worth reading, but his latest, Saints of the Shadow Bible, is fairly ordinary and far from one of his best. It's for Rebus fans only. Rankin sets up a nice contrast though between old policing methods and the new: John Rebus, a drinking, smoking, street smart, can do, rule breaking and effective operator, with a real nose; versus Malcolm Fox, the teetotalling, fastidious, process-driven, bureaucrat - 'paper pushing rather than blood and guts' as Fox's father puts it. Not bad, but I wouldn't rush out to buy it.